Eurodollar rebounded from level of 61.8% and started new ascending movement. By now, pair has almost reached its target level at 1.3870. However, considering that this ascending movement was quite fast, price may continue growing up and reach its next target, which is at level of 1.3970. 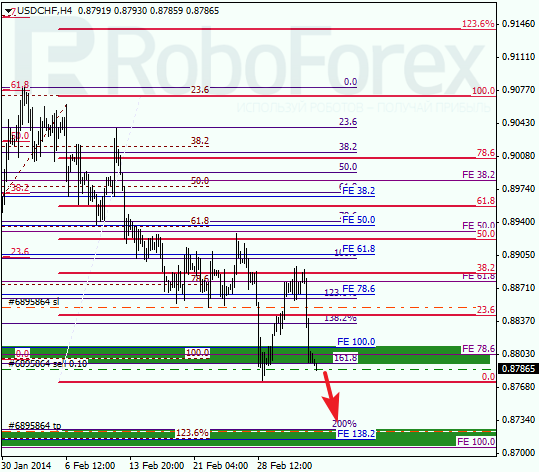 As we can see at H1 chart, bulls are supported not only by level of 61.8%, but by several additional levels as well. According to analysis of temporary fibo zones, upper target levels may be reached in the beginning of the next week or even earlier. Fast correction was followed by fast descending movement. It looks like bears are going to reach minimum until the end of this trading week. 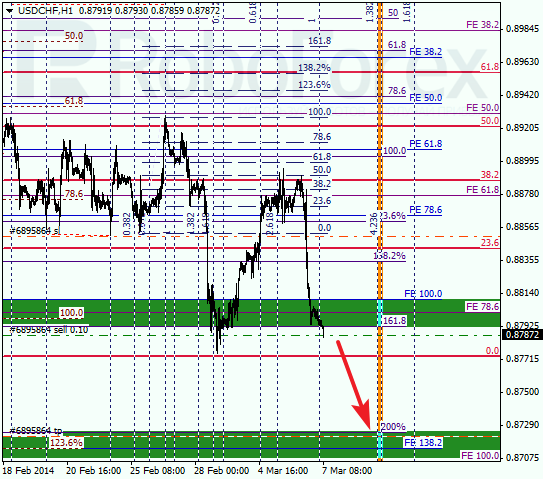 Main target is near several fibo-levels close to 0.8720. 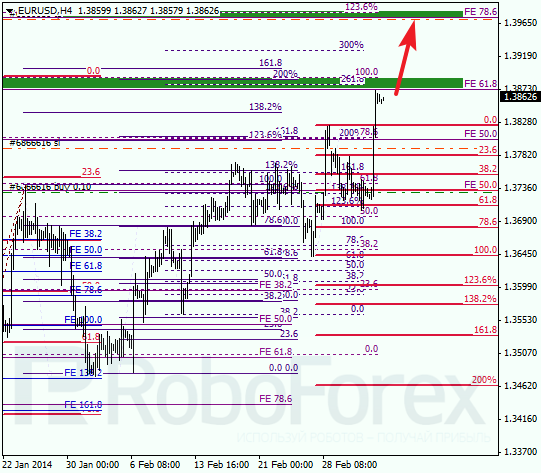 At H1 chart we can see, that yesterday Franc rebounded from local level of 38.2%. during the day, pair may form slight correction, after which I’m planning to increase my short position. According to analysis of temporary fibo zones, lower target levels may be reached by next Monday.